Commonly perceived like a non-essential software, GettingApps is a program that can create its road to computer systems via third-party applications. Having been designed to benefit the developers, the rudimentary purpose of this program is to ensure web enhancements so as to help the users in getting free apps on the websites. Although it appears simple yet it should have cared appropriately. Why? Because this sort of tool can generate risks where browsers may negotiate with adware related to GettingApps. Additionally, adware like this can harm users by stealing their significant data and making them victim to identity thefts or other cyber-attacks. Once attaining GettingApps, the relevant registry entries & files will be released on the specific system. Besides it, browser add-ons, plug-ins, extensions are updated in order to enable the ads to pop-up on the computer’s screen. GettingApps usually appears on the screen only when they get online i.e. surf the internet. The capability to track and oversee the users’ browsing activities is the feature that makes GettingApps presentable and attractive. When it comes to announcing advertisements, the smart add-on aspect prevents the security suite existing and running on the system from blocking GettingApps. Hence, as long as the computer is connected to the internet, it is obvious that the adware server will continue to deliver ads. Apart from frustrating the users with continuous advertisements, GettingApps recommends websites to link to the trendy search terms. Well! All this tantamount to a situation full of frustrations. But no worries as now it is possible to come out of this big sea of exasperations. The sole tactic to get rid of GettingApps and irritating circumstances due to it is to remove this non-essential software comprehensively. The starting point of the process to tackle such situations demand running a deep virus scan on your computer system followed by using a reliable & powerful anti-malware software to remove the issue. 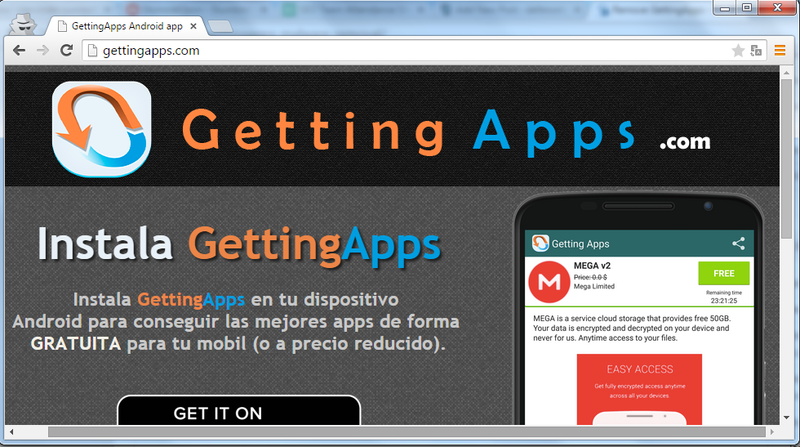 How to Discover & Remove GettingApps? One common reason behind the appearance of pop up ads can be the programs installed on your computer. In such cases, detecting and eliminating the responsible software can be a good solution. Step 2. Find and reach the ‘Programs’ option -> Click ‘Uninstall a program’. This will redirect you to a window displaying all the existing program installed. Step 3. Navigate to and delete GettingApps entry. However, if you don’t detect any, look for other dubious or malicious software installed lately. Step 4. Click ‘Uninstall’ & start eradicating the programs. Step 1. 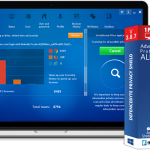 Download defencebyte AntiVirus Pro. You can do this simply by utilizing the link given below. Click defencebyte AntiVirus Pro to download. Step 2. Wait for a while till the software gets download. Once the process of downloading completed, close each and every program running on your computer. Step 3. Now, locate the downloaded file and proceed by double-clicking on defencebyteAVPro.exe. This will run the tool in order to search for any sort of harmful or suspicious program, be it add-ons, plug-ins, or any other data appearing malicious and/or allied to GettingApps. It may show up even those items that were deleted previously. Step 4. Once the scan is over, the tool may demand to reboot your computer system so as to continue with the further cleaning process. When we talk about removing GettingApps completely, cleaning your browser deeply by wiping out all the unnecessary add-ons or extensions is crucial. The step-by-step procedure stated below will make you learn the tactics to reset various popular browsers to their default state. Restoring/ resetting Chrome Browser to its default settings is efficacious in removing not only GettingApps but also many other arduous-to-delete extensions. Hence, you are highly recommended to practice this tactic. Step 2: Click ‘Menu’ (an icon displayed by using three bars) existing on the top-right corner of the browser window. Step 3: Navigate through the drop-down menu in order to find ‘Settings’ and once found, click it. Step 6: Hit ‘X’ to close the opened tab -> restart your Google Chrome Browser. GettingApps possibly be removed by now. In this section, you will come across a clear process encompassing steps to make your Firefox Browser free from GettingApps & other unnecessary extensions related to it. In addition to the removal of malevolent add-ons, plug-ins, etc., the process of resetting Firefox to its factory settings will aid you in fixing a variety of browser issues. One notable point about this procedure is that your valuable information including bookmarks, passwords, internet cookies, and browsing history will not be altered. All the fixation will be done without affecting such kind of essential data. So, if you are ardent to get rid of only that particular extension, go through the below manual solutions on the removal of damaging add-ons. 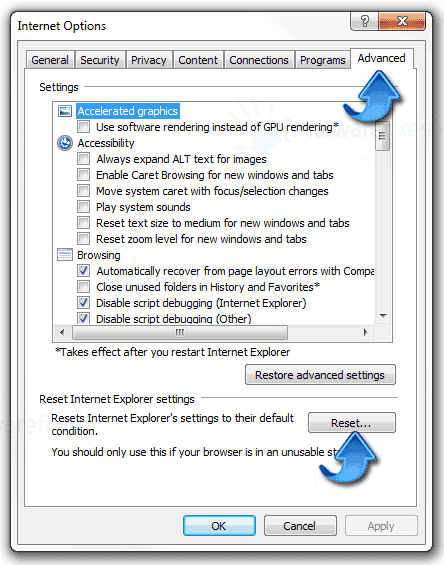 Step 5: In case a confirmation window prompts, continue by clicking ‘Reset Firefox’. Step 6: The browser will shut down & begin with the further process of resetting. When done, you will be available with an inventory comprising entire restored data. GettingApps is likely to be deleted by now. Step 7: Hit ‘Finish’ & open a fresh Firefox window. 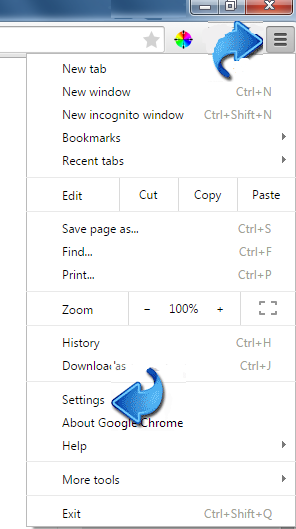 Step 4: Navigate to the bottom section of the window and there click ‘Reset’ button located beneath the ‘Reset Internet Explorer Settings’ section. Step 5: Close the opened window & start with a fresh Internet Explorer. It is important to be aware of the fact that your vital data such as favorites, history, bookmarks will stay preserved. The procedure will affect only GettingApps or other anonymous subjects. Therefore, exercise the process without any apprehension of losing your imperative information. Hopefully, the aforementioned guide will prove beneficial for you! Try out the tweaks and throw GettingApps & relevant entries out of your system.